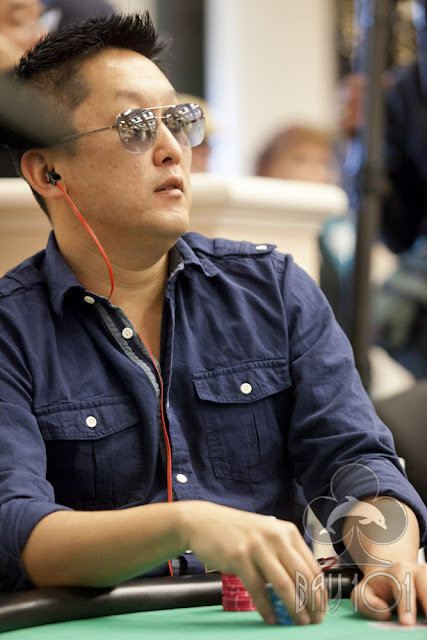 Brandon Wong was all in preflop holding [Kc][9c] against the pocket sevens of Erik Cajelais. The flop came king high with two clubs, putting Brandon way in front. The turn was the [7c], completing the flush for Brandon but giving Erik a full house draw. The river [Jh] failed to pair the board, however, so Brandon will double up. He is still the short stack in the tournament.